Our Private Investigator Training School offers a process server E-learn course. We run regular classroom based training in Process Serving and assist the Association of British Investigators train novice process servers. 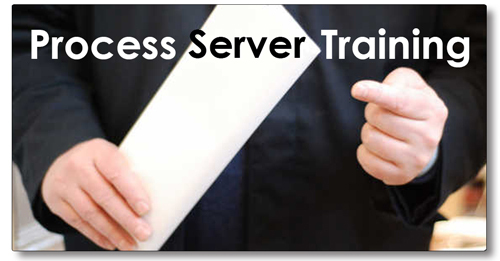 Do you require a Process Server? We support the Legal Services throughout the UK and operate a network of private investigators / process servers to effect serves. The cost is: £420.00 (VAT Included) – you will make this back on your first process serving assignments. Process Servers are servants of the Courts and are subject to Civil Procedure and Criminal Procedure Rules – you serve documents within certain time scales either personally or in the prescribed manner. Most successful professional private investigators offer process serving and it is a primary income stream…Never turn down a lucrative process serving job or assignment again! We concentrate on building up your knowledge of the many components of expertise that operational private investigators should know and understand. Refreshments supplied @ Burton Regan Ltd t/a: Private Investigator Training UK, Vicarage Chambers, 9 Park Square East, Leeds, LS1 2LH. Please arrange your accommodation locally, if required. Buffet meals provided. 09.30 – 10.30: Introduction to the modules and tutors. Icebreaker. ABI / Academy. Context: Professional Standards and BS102000, Conducting Investigations. 11.00 – 13.00: Legal framework. Laws and Regulations. 14.00 – 15.00: Process Serving: Timescales, reports and proofs of service. Health and safety considerations. Process serving best practice. Vicarage Chambers, 9 Park Square East, Leeds, LS1 2LH.